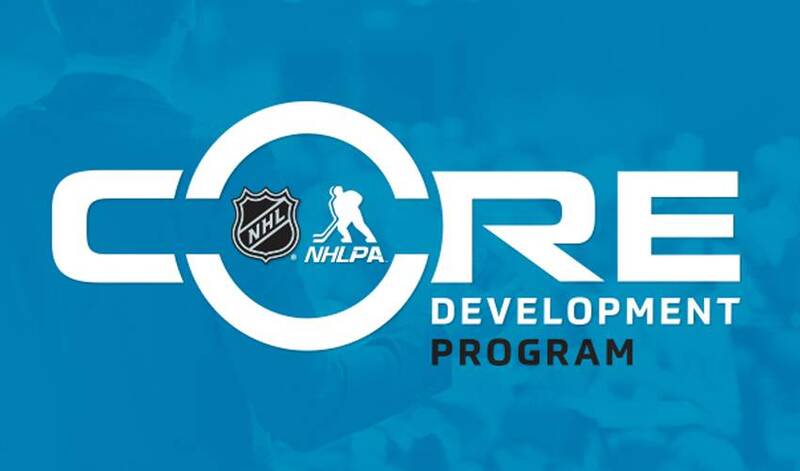 The NHL and NHLPA today announced the launch of the NHL/NHLPA Core Development Program. Core Development Program (CDP) aims to help NHL Players become better professionals both on and off of the ice. NEW YORK/TORONTO (Oct. 20, 2016) – As an extension of the National Hockey League (NHL) and National Hockey League Players’ Association’s (NHLPA) Player Development Program, the NHL and NHLPA today announced the launch of the NHL/NHLPA Core Development Program. Core Development Program (CDP) aims to help NHL Players become better professionals both on and off of the ice. Through engagement in CDP, the NHL and NHLPA aim to promote and facilitate healthy and productive lives for all Players during their NHL careers, and will help them transition to life and their post-playing careers. The launch of CDP coincides with the opening month of the 2016-17 season. It was created to provide NHL Players with information, resources and services to enhance their career experience. The goal of CDP is two-fold: (1) to provide Players with an opportunity to develop a path to success off the ice; and (2), to provide Players with a customized strategy to enhance their overall performance during their playing career. CDP is designed to create opportunities to identify or complete educational endeavors, augment financial goals, build networking skills, establish key professional networks, and create strong philanthropic, business and career foundations. CDP is the newest educational program operated as part of the NHL/NHLPA’s Player Development Program. Further to the newly created CDP, the NHLPA and NHL also administer other development programs, including the Rookie Orientation Program (ROP). Now in its fourth year, the ROP reaches Players early on in their NHL careers and is designed to enhance Players’ life skills — both generally and as they relate to life in the NHL. Over the course of three days each summer, approximately 80-90 young NHL Players attend the ROP, where they are educated on a number of topics.